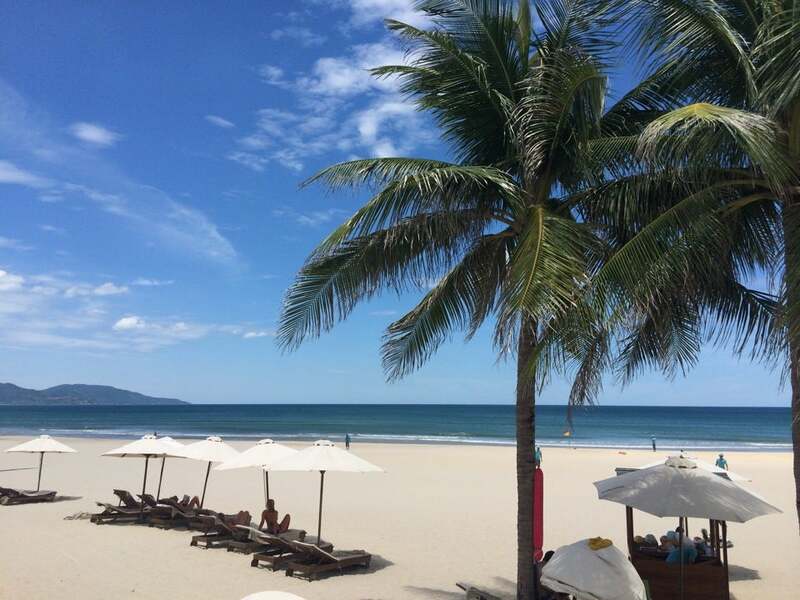 Why Non Nuoc Beach is special ? This fine sandy beach with sunshine all the year round makes it suitable for tourism in all four seasons. Non Nuoc Beach has been voted as one of the most beautiful and attracting beaches of the planet, 2005, according to Forbes, the leading magazine of America. This beach has a gentle slope, mild waves, and purely blue sea water during the four seasons. The unpolluted water source here has attracted a number of tourists coming to bathe, enjoy local special sea foods and take a rest for weekends. The beach Non Nuoc is also a place that exist precious and rare seaweeds such as gracilaria "yellow thread" and glacilaria "screw" that have a high value of exporting. What to explore at Non Nuoc Beach? 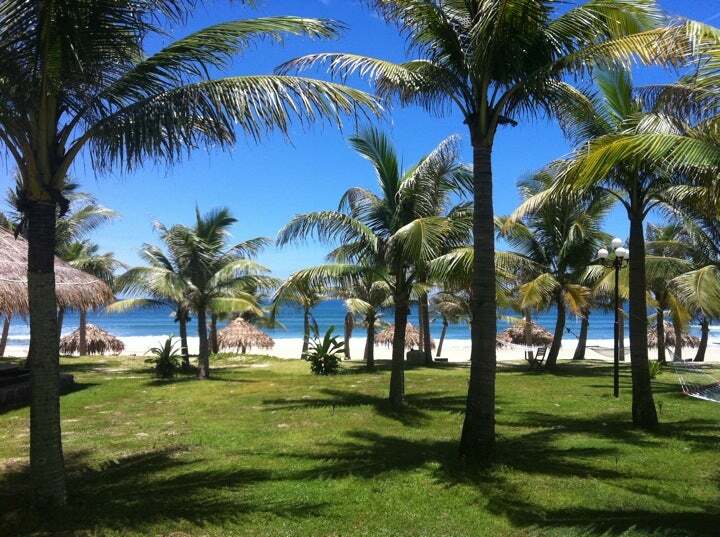 Non Nuoc Beach is suitable for water sports, especially surfing. In 1993, there took place an international champion with the participation of nearly 40 athletes from many countries around the world. Along the beach, on the white sand is a forest of age-old casuarinas which is shady, green and is waving in the whistling wind. This is an ideal place for resting and camping. When the darkness falls and the moon rises, you can set yourself free on smooth benches along the beach to listen to melodious sounds of the waves and enjoy the occult space. How to get to Non Nuoc Beach? The best way to get Non Nuoc Beach is by taxi, motorbike. It takes 20 mins driving from Da Nang International Airport and 21 mins from Da Nang Railway Station. The beach has surf patrols around those public access points - even at 6.30am. We saw some impressive surf and rip tides on some sections of the beach (including right outside our hotel), so take care swimming if the surf is high. The beach has Life Guides and a swimming area if you are not a strong swimmer. There are lounge chairs and beverages available. Around 7:30 AM the fishermen were pulling in their nets on the beach. It is fun to watch and see what they bring in. It can get busy around the public access points so spend a bit of time walking to get a space to yourself. At night, you can have drink at bar on the seafront called Woody's . It was a friendly place where you can just sit and enjoy the evening air. Lose a couple hours flying a kite. You can borrow them at the beach center. Nice wide and long beach front with plenty of locals and holiday makers enjoying the sunset and water sports. Some small amounts of litter let this place down but on our visit fun was had by all so 4/5. We love this beach! Speciffically the section close to Danang called My Khe. The view is great with a big mountain to the north, an island to the SE, and Marble Mountains to the south. The water was very clear; the white sand on the beach extended out as far as I went (over 150 yards) and I was still in water only about 4.5 feet deep. The best time to go (during the summer) is 5-7 AM, and 4-7 PM, in that the beach gets busy with locals. Mid-day you'll have the place to yourself. Plenty of vendors... we had very good food on the beach. Across the street are hotels, coffee shops and restaurants too. I think TripAdvisor needs to update their information on "best time to go".... I would say anytime from March/April through the summer, with the absolute best being April & May (before it gets really hot).